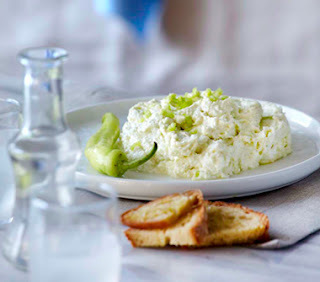 The Greek meze (meh-ZEH) or appetizer table would not be complete without this traditional spread. When I was young, my Grandmother would make taramosalata (tah-rah-moh-sah-LAH-tah) in an old wooden mortar called a gouthi (goo-THEE). She would pound the roe thoroughly with a large wooden pestle in order to break the eggs down and allow their flavor to blend with the other ingredients. 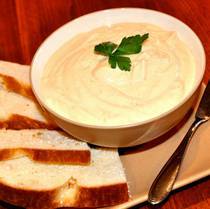 Today, using a food processor or blender is probably the easiest way to prepare the spread. 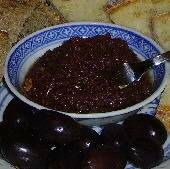 You can find carp roe caviar or tarama (tah-rah-MAH) in jars at most Greek or Middle Eastern markets. Remove crusts from bread and soak slices briefly in a bowl of water. Squeeze out excess water and set aside. 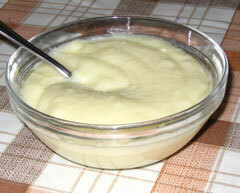 Add tarama and onion to food processor or blender and mix for approximately a minute or until well blended. Tear the bread into pieces and add to processor or blender. Mix until combined. With machine running, slowly drizzle the olive oil into the mixture forming a paste. Add the lemon juice a bit at a time and blend until smooth and creamy. If you prefer it tangier, you can add more lemon juice. 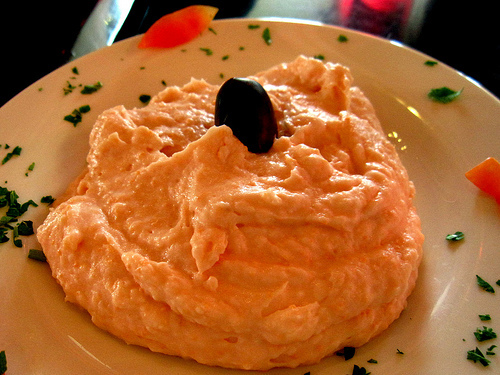 Serve taramosalata with pita triangles or other bread for dipping and enjoy with a glass of chilled ouzo! This recipe can also be made using a traditional mortar and pestle.